If there’s one thing modern gaming consoles are missing, it’s a stylish wood veneer finish. That’s what classic ‘80s consoles did best, and if you’re feeling nostalgic for those gaming machines of yesteryear, why not build yourself a retro version of Pong, complete with a pair of paddle controllers for two players? This $36 kit comes with almost everything you need, including packaging that turns into the actual arcade machine and a decidedly-not-HD display powered by 120 red LEDs. 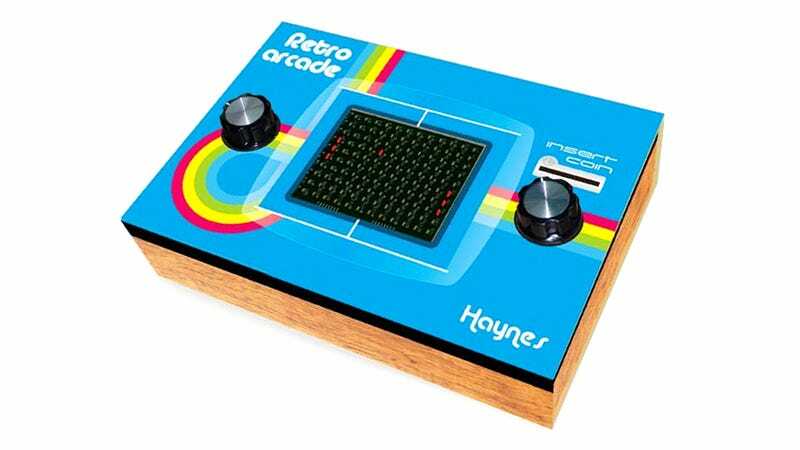 There is some soldering required, but since the Retro Arcade comes from Haynes, the company that makes those incredibly detailed aftermarket manuals for cars, you shouldn’t have too much trouble following the assembly instructions. It might be low-tech, but Pong was always meant to be played with a pair of spinning paddles, not a joystick, controller, or touchscreen. So get out that soldering iron and enjoy the game in its original glory.